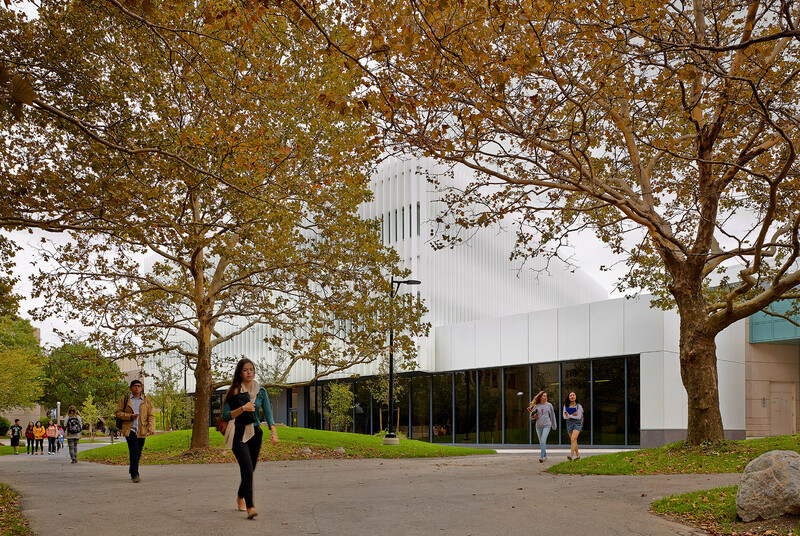 A major expansion of the former Kaneff Centre, the Innovation Complex is a new gateway to the University of Toronto Mississauga campus, an incubator for industry partnerships and a multifunctional hub of academic, administrative and social activity. 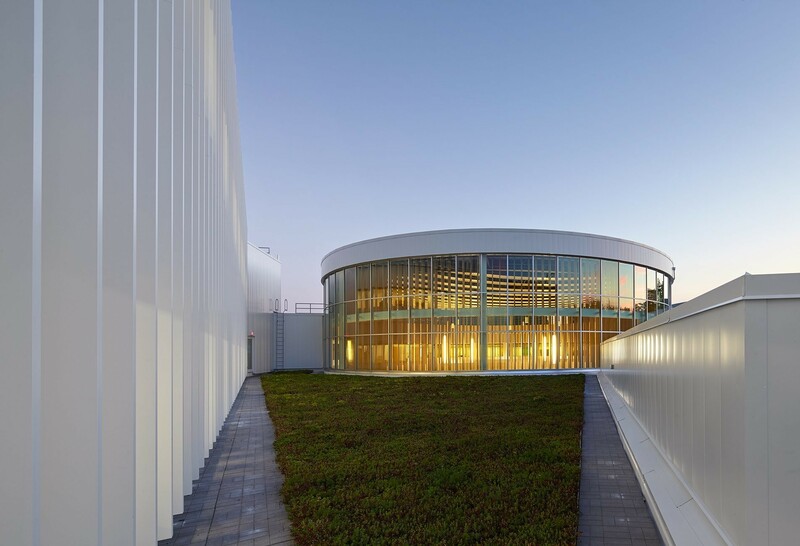 The focal point of this dynamic synergy is the Rotunda, an open and airy circular atrium created at the heart of the building. 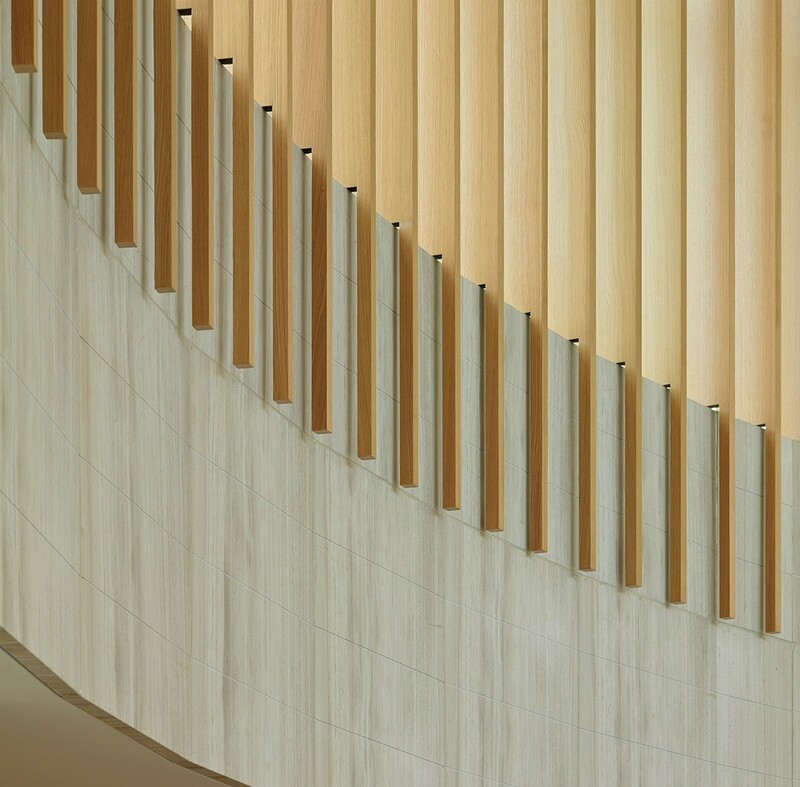 Lined in warm-toned travertine and white oak, the light-filled Rotunda is an engaging gathering place for faculty, students and industry partners and a key venue for receptions and conferences. 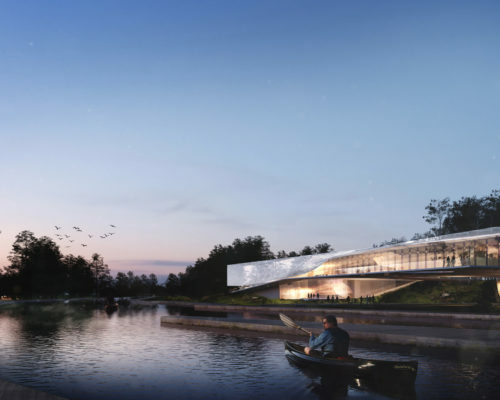 This welcoming gesture is reflected in the exterior expression of the Innovation Complex as well. 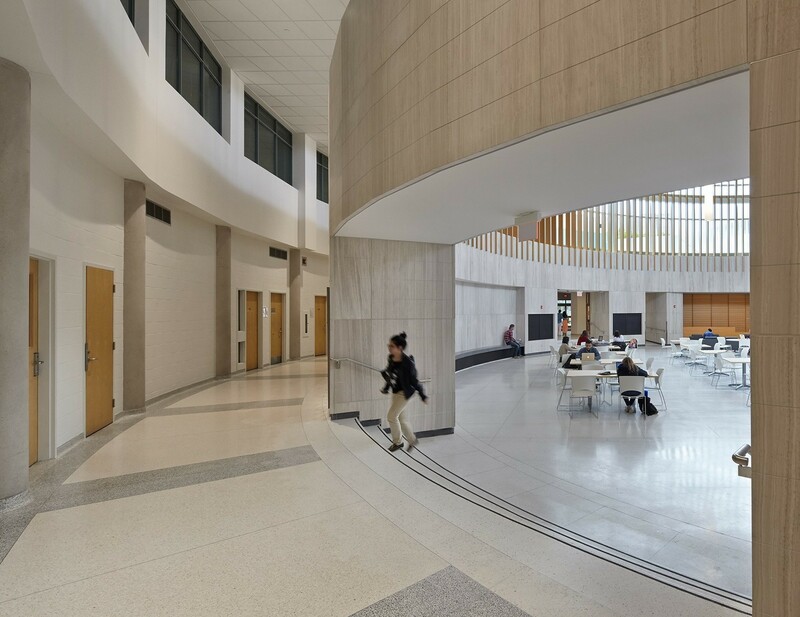 Floor-to-ceiling glass on the ground level showcases the activity inside and expresses transparency and accessibility, and communicates an animated presence to passersby. 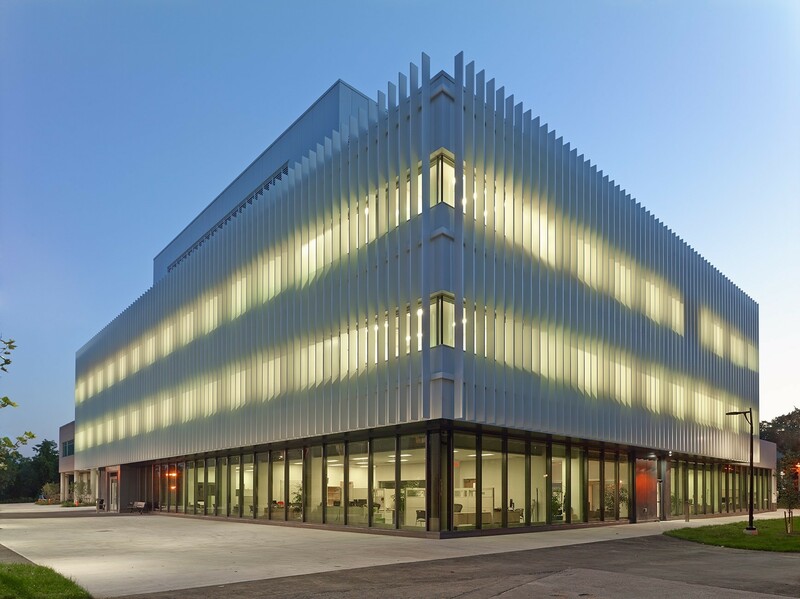 Vertical aluminum fins on the upper two storeys continue the visual permeability while providing effective shading from direct sunlight. 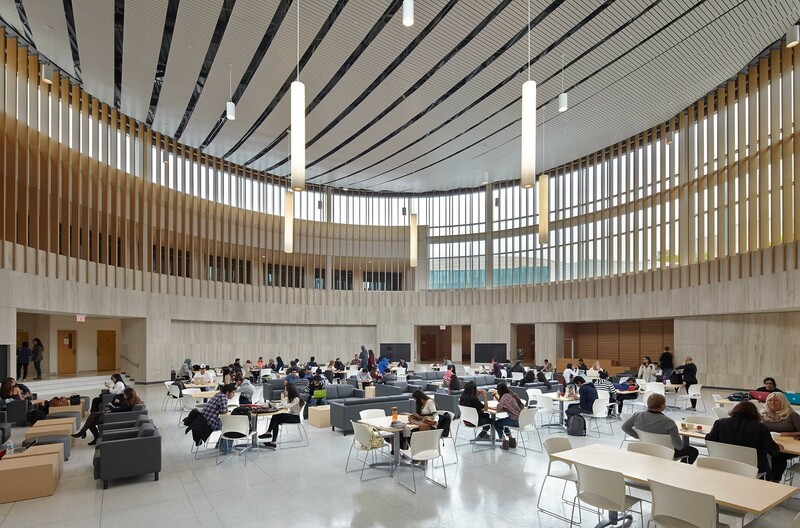 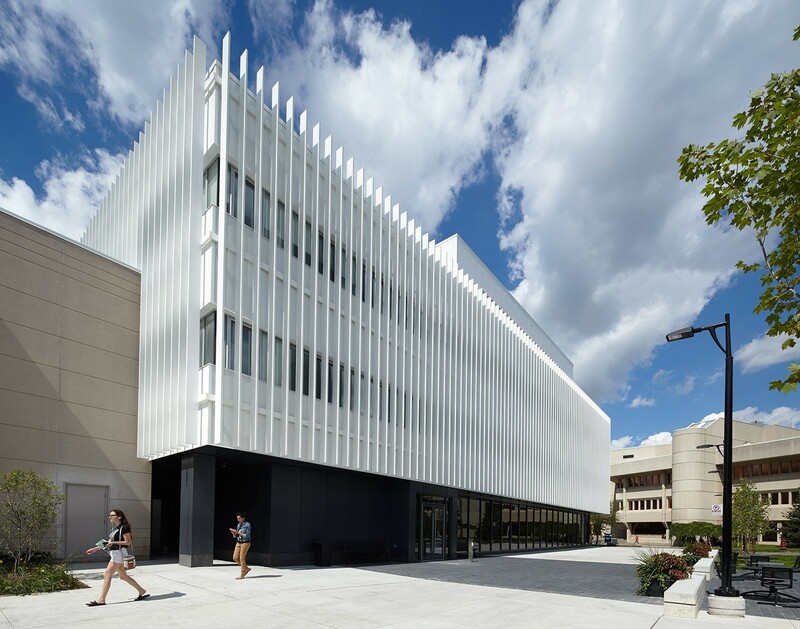 “We are thrilled with the recently-completed Innovation Complex at the University of Toronto, Mississauga. 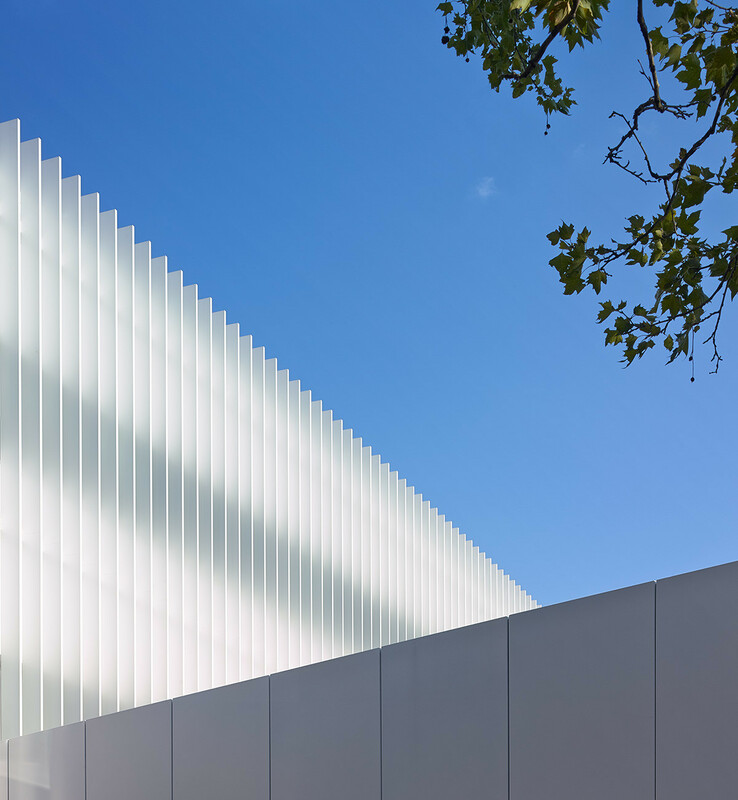 Moriyama & Teshima provided a brilliant design and the ongoing support necessary to bring that design to life. 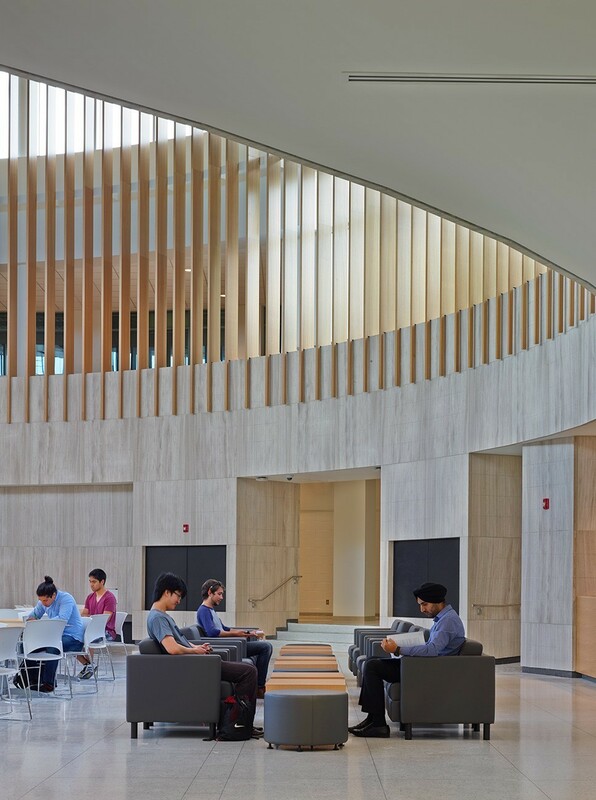 The project’s overarching design aspiration was to meet the University of Toronto’s needs while creating a sense of calm, comfort and wonder that could inspire innovative thought and profound contemplation.